NEW YORK (Aug 5): Wall Street stocks ended little changed on Thursday as investors kept to the sidelines ahead of Friday's U.S. payrolls report for July. The monthly hiring data will help investors gauge the health of the economy and possibly offer insight as to when the Federal Reserve will raise interest rates again. "Folks would probably prefer to wait on those numbers before they make a commitment in front of them," said Gary Bradshaw, portfolio manager at Hodges Capital Management in Dallas. "It's probably dampening the market enthusiasm today." Wednesday's ADP employment report showed private employers added 9,000 more jobs than anticipated in July. Thursday's initial jobless claims reading showed the number of Americans filing for unemployment benefits unexpectedly rose last week, but still showed a healthy labor market. Traders have priced in a 12 percent chance of a rate hike in September and a 38.5 percent chance in December, according to CME Group's FedWatch tool. 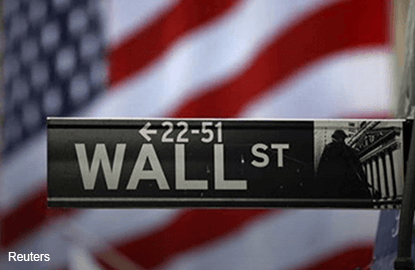 The Dow Jones industrial average fell 2.95 points, or 0.02 percent, to 18,352.05, the S&P 500 gained 0.46 points, or 0.02 percent, to 2,164.25 and the Nasdaq Composite added 6.51 points, or 0.13 percent, to 5,166.25. The Bank of England lowered its key lending rate to 0.25 percent from 0.5 and said it would take "whatever action is necessary" to achieve stability in the wake of Britain's vote to leave the European Union. Priceline.com shares jumped 4.4 percent in extended trading after the online travel services company posted second-quarter earnings. During the trading session, MetLife dropped nearly 9 percent and was the biggest drag on the S&P 500 after the largest U.S. life insurer's quarterly profit missed estimates. Ball Corp jumped 12 percent after its quarterly sales rose. It was the top percentage gainer on the S&P 500. According to Thomson Reuters data through Thursday morning, of the 403 companies in the S&P 500 that have posted earnings, 70 percent have topped expectations, in line with the beat rate for the past four quarters. Earnings are expected to show a decline of 2.8 percent for the quarter, better than the 4.5 percent decline expected on July 1. Advancing issues outnumbered declining ones on the NYSE by a 1.30-to-1 ratio; on Nasdaq, a 1.06-to-1 ratio favored advancers. The S&P 500 posted 16 new 52-week highs and 2 new lows; the Nasdaq Composite recorded 79 new highs and 30 new lows. About 6.39 billion shares changed hands in U.S. exchanges, compared with the 6.59 billion daily average over the last 20 sessions.